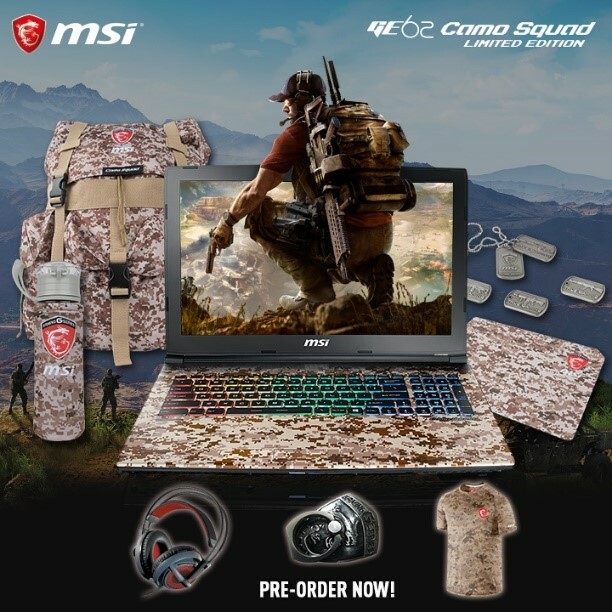 Home Gaming Ghost Recon: Wildlands MSI Camo Squad Promo Gear Up with MSI Camo Squad! Let's Give'em Hell! Gear Up with MSI Camo Squad! Let's Give'em Hell! 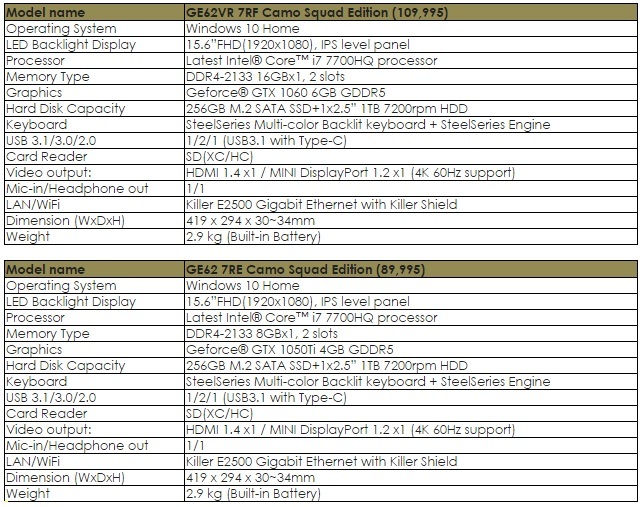 MSI, world leader in gaming hardware, announces the Camo Squad Limited Edition series! Selected from MSI's powerful gaming lineup, the GE62 Camo Squad aims to give you a sense of individuality, personal identity, and an incredible immersive experience as if one is participating in the actual combat. The military-themed notebook is designed to make combat feel more visceral and is definitely an array that military shooter fans wouldn't want to miss! From April 10th until June 30th 2017, fans who buy selected MSI Camo Squad series products get the Tom Clancy's Ghost Recon Wildlands Game or Season Pass for FREE! The game, developed by Ubisoft, is scheduled to be released on March 7. In Wildlands, you are part of The Ghosts, an elite spec ops team, sent behind the enemy lines to break drug cartels in Bolivia, South America. Your task: take down the vicious criminal organizations in mind-blowing landscapes like mountains, rainforests and deserts. Moreover, in the MSI Camo Squad version of Ghost Recon Wildlands, a unique in-game T-Shirt with MSI logo is selectable for elite operatives in character customization.